What do we know about the design of the gas chambers in the Operation Reinhard death camps (Treblinka, Belzec, and Sobibor)? The Germans were excellent builders and engineers. Thus, according to deniers, they would not have built the poorly designed and inefficient gas chambers as described by eyewitnesses. Therefore, these gas chambers never existed at all. Although little physical evidence remains of the gas chambers in the death camps of Treblinka, Belzec, and Sobibor, there is a multitude of eyewitness evidence, from both survivors and perpetrators, that describes the design and use of the gas chambers. From this evidence, it is clear that designs changed over time, leading to more and more efficiency. The design of the gas chamber buildings at the Operation Reinhard camps evolved as the Germans refined the process of mass murder. When I arrived at the camp, three gas chambers were already in operation . . . A gas chamber measured 5 x 5 meters [16 feet x 16 feet] and was about 1.90 [6 feet] meters high . . . The chamber was equipped with a gas pipe inlet and a baked tile floor slanting towards the platform. The brick building which housed the gas chambers was separated from Camp No. 1 by a wooden wall. This wooden wall and the brick wall of the building together formed a corridor which was 80 centimeters [31.5 inches] taller than the building. The chambers were connected with the corridor by a hermetically fitted iron door leading into each of the chambers . . . The victims were led into the chambers through the doors leading from the corridor, while the remains of the gassed victims were dragged out through the doors facing Camp No. 2. The first gas chamber buildings quickly proved to be too small so they were re-designed to be larger, more efficient, and more deceptive in appearance. The new gas chambers featured a hallway that ran down the middle of a long rectangular building. Gas chamber rooms were connected to this middle hallway. Eyewitness accounts vary as to the total number of gas chamber rooms, but the number of rooms ranged between six and ten rooms. Each room was about five meters by six or eight meters in size (about 16 feet by 20 or 26 feet). The steps led to a completely empty and unlit corridor: just four cement walls. It was very long, though only about a metre and a half [5 feet] wide. On both sides of it were doors to the gas chambers . . . The gas chambers had no windows . . . All the walls and floors were made of cement. Both the corridor and the gas chambers were not more than 2 metres [6.5 feet] high. The Germans made every possible effort to quell disorder or rebellion on the part of the Jews by presenting the gas chamber buildings as benign shower facilities. The whole extermination centre looked just like a normal delousing institution. In front of the building there were pots of geraniums and a sign saying ‘Hackenholt Foundation’, above which there was a Star of David. The building was brightly and pleasantly painted so as not to suggest that people would be killed there. From what I saw, I do not believe that the people who had just arrived had any idea of what would happen to them. In the small yard you went up the steps to the entrance door, above which there was a sign saying “Bade und Inhalationsraeume” as well as a large flower basket, which made it look as though it was really the entrance to a health spa. According to a Holocaust denier and YouTube video-maker known as “Denierbud,” if the gas chamber buildings had existed, the Germans would have created two big rooms for the gas chambers with no central hallway. Each of the big rooms would have been equipped with their own double doors. Denierbud’s speculations are completely theoretical and improbable. Second, once victims were jammed into the small rooms and the doors were shut, they were basically powerless to resist their fate. With larger rooms, if the deception broke down, the impact of disorder would have been much harder to contain. Double doors into big rooms might have looked less friendly than the “bathhouse” design the Germans ended up constructing. It was critical that the victims be deceived until they were locked into the gas chamber rooms. Realistically, speculations about what the Germans should have done amounts to little. Conjectures are not evidence. On the other hand, from witnesses themselves, one can see that the Nazis spent considerable effort thinking about the design of the death camps. See “One Third of the Holocaust” at http://www.youtube.com/watch?v=taIaG8b2u8I at approximately 54:00 to 57:00 to minutes. Yankel Wiernik, A Year in Treblinka (Chapter 5) at http://www.zchor.org/treblink/wiernik.htm. Jules Shelvis, Sobibor: A History of a Nazi Death Camp (Berg in associated with the United States Holocaust Memorial Museum, 2007), 101. Rudolf Reder, “Belzec,” Polin: Studies in Polish Jewry, Volume 13: Focusing on the Holocaust and its Aftermath, edited by Antony Polonsky (Littman Library of Jewish Civilization, 2000), 268-289 (see page 275). Jonathan Harrison, Robert Muehlenkamp, Jason Myers, Sergey Romanov and Nicholas Terry, Belzec, Sobibor, Treblinka: Holocaust Denial and Operation Reinhard. A Critique of the Falsehoods of Mattogno, Graf and Kues, 290 citing Belzec-Oberhauser, Band 7, 1320-1321 at http://holocaustcontroversies.blogspot.com/2011/12/belzec-sobibor-treblinka-holocaust.html. Select Google Docs, Rapidshare or Archive.org for PDF version. Also, see: Yitzhak Arad, Belzec, Sobibor, Treblinka: The Operation Reinhard Death Camps (Indiana University Press, 1987), 74. Jonathan Harrison, Robert Muehlenkamp, Jason Myers, Sergey Romanov and Nicholas Terry, Belzec, Sobibor, Treblinka: Holocaust Denial and Operation Reinhard. A Critique of the Falsehoods of Mattogno, Graf and Kues, 282 citing Erich Fuchs, 2.3.1963, BAL 162/208 AR-Z 251/59, Bd. 9, 1782-1783. 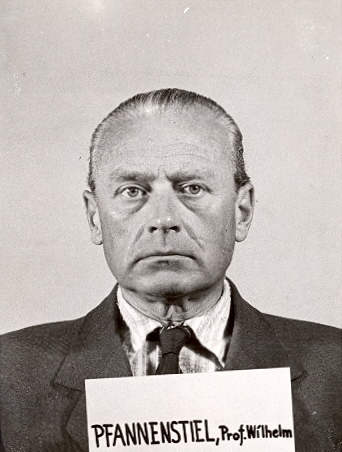 Also on design, see: “The Interrogation of Pavel Vladimirovich Leleko,” The Soviet Protocols, February 20, 1945 at http://www.nizkor.org/hweb/people/l/leleko-pavel-v/leleko-001.html. Leleko’s precise recorded words are that the height of the gas chambers was “about two to five-three meters high.” This is very confusing. Five meters high would be about 16 feet so it is likely he misspoke, then corrected himself to three meters high resulting in the wording confusion. This writer is using the 2 to 3 meter (about 6.5 to 10 feet) figure as a matter of common sense. Testimony of Abraham Lindwasser at the Eichman trial in Jerusalem on June 6, 1961 at http://www.nizkor.org/hweb/people/e/eichmann-adolf/transcripts/Sessions/Session-066-08.html. Ernst Klee, Willie Dressen, and Volker Reiss, editors. “The Good Old Days”: The Holocaust as Seen by Its Perpetrators and Bystanders (Free Press, 1988), 241. Jonathan Harrison, Robert Muehlenkamp, Jason Myers, Sergey Romanov and Nicholas Terry, Belzec, Sobibor, Treblinka: Holocaust Denial and Operation Reinhard. A Critique of the Falsehoods of Mattogno, Graf and Kues, 292 citing Rudolf Reder, 29.12.45, BAL 162/208 AR-Z 252/59. Jules Shelvis, Sobibor: A History of a Nazi Death Camp (Berg in association with the United States Holocaust Memorial Museum, 2007), 102. See “One Third of the Holocaust” at approximately 54:00 to 55:00 minutes. Piotr Setkiewicz, The Auschwitz Crematoria and Gas Chambers (Voice of Memory series, No. 6), International Center for Education about Auschwitz and the Holocaust, 2010), 44. Chil Rajchman, The Last Jew of Treblinka: A Survivor’s Memory 1942-1943 (Pegasus Books, 2011), 65.